We are extremely proud to announce that Chief Counsel Joshua Prince, Esq. has received notice from the Maryland State Board of Law Examiners that he passed the Maryland Out-of-State Attorneys’ Bar Exam that was administered in February, 2017. While he must take an orientation program, it is anticipated that he will be licensed to practice in Maryland within the next month. 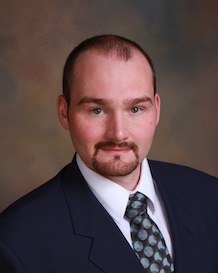 Joshua looks forward to taking the Civil Rights Defense Firm, P.C., including its division, Firearms Industry Consulting Group® (FICG®), and his dedication to defending our inalienable right to keep and bear arms to Maryland and establishing beneficial precedent in Maryland, as he has done here in Pennsylvania. Firearms Industry Consulting Group® (FICG®) is a registered trademark and division of Civil Rights Defense Firm, P.C.